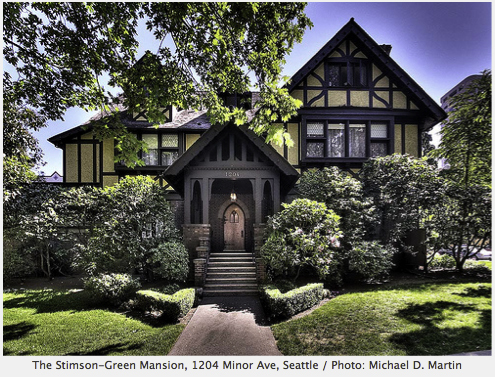 The Washington Trust for Historic Preservation is searching for tenants for the carriage house and third floor office space at the Stimson-Green Mansion on First Hill. Download this flyer containing leasing details and contact information. The mansion, a designated Seattle Landmark and National Register of Historic Places-listed property, was built in 1901 and designed by prominent architect Kirtland Cutter. It is home to the Washington Trust for Historic Preservation.